To forge stronger emotional connections, brands need to have a continuous dialogue with consumers and appreciate their needs, writes a team from Lippincott. If there was ever a brand that has earned permission to speak and behave like a playful pal, it's Southwest Airlines. This permission is inherent in flight attendant wisecracks such as, "If you don't like the jokes or the service today, there are six ways out of this airplane—feel free to use them." Or: "Place the mask over your nose and mouth, and once you stop screaming, breathe normally." 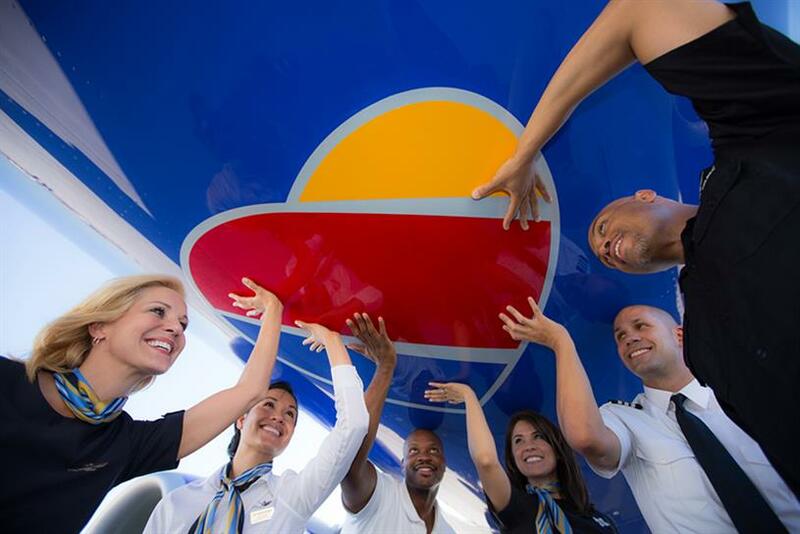 The brand voice is indelibly, recognizably Southwest. Its fun-loving whimsicality comes across as authentic and likable because of the company's history as an upstart challenger brand, willing to do unconventional things to get attention, and because of its steadfast commitment to caring for employees and customers. Every brand aspires to forge stronger emotional bonds with customers, and that's achieved by coming across as human. "Human era" brands strive to achieve more satisfying connections—seeking to engage in a continuous dialogue with customers, anticipate their needs and help them get the most out of every moment of their day. This is a new paradigm driven in part by mobile technology heightening expectations for products and services to respond intuitively, dynamically and personally, and by a shift away from an "institutional era" understanding of consumers driven by a focus on persuasion and image. A key tenet of human era branding: The more companies can empathize and relate to customers on a level they can understand, the more that customers will feel comfortable having deeper brand relationships. That's a fine line, however, because there are boundaries in every relationship. It's like the balancing act on a first date: One has to lay some groundwork and make small talk to, hopefully, project a likeable and genuine impression of who you are. Get too personal too fast, and you risk crossing a boundary that could make your date uncomfortable. But if you come off as too cautious or formal, you might miss an opportunity to make a connection. For people and for brands, developing the right tone contextually is key. The most likeable humans are truly themselves across a range of situations, whether at work or home or at the pub or in a meeting, but have the emotional intelligence to read situational cues and modulate tone to facilitate communication. The same holds true for brands. The most likeable "human" brands understand where they are on the customer journey, discerning what the customer has given them permission to do in a given moment. Navigating human era boundaries starts with knowing who you are. Take Southwest. By focusing on every interaction they have with customers, the brand continually reinforces what matters most to its success: people. The playful manner and focus on personal touches are consistent across all channels. From the cheeky vibe of the flight attendants to its "Transfarency" microsite, Southwest gets humor, and understands implicitly that this permission comes with delivering for their customer. Everlane is another example of a brand that uses voice successfully to show its true colors. An online-only clothing brand, Everlane has gone far beyond a purely transactional relationship with shoppers by pursuing its mission of "Radical Transparency." It stays true to its core philosophy by showing interest in customers' ideas and opinions. And it reflects that interest in real business decisions, like crowdsourcing tips and ideas from its fan base. Permission is earned by building from a shared history. Sweetgreen, a gourmet salad brand with impressive local followings, sends out a perfectly polite, on-brand welcome email to whoever creates an account with them. Through subsequent communications, permission is earned to become more casual and personal only if the customer opts in for further interaction. The brand has mastered the art of ascending familiarity to earn their customer's trust and open the door to a comfortable, lasting relationship. No matter what kind of relationship you have with customers, all brands must learn to respect topic boundaries. Frozen yogurt chain 16 Handles has built an intensely colloquial relationship with loyal fans, but miscalculated with an insensitive joke based on Donald Trump's leaked comments about grabbing women. For any brand, "I'm sorry" is a critical moment, just like "hello" and "buy me." In the case of 16 Handles, which has a largely millennial following, the lesson is clear: understand permission boundaries and the fact that some topics are better left to late night talk show hosts. In the human era of brands, permission to engage, like loyalty, is earned. Saying "hi, hello" is the easy part. Getting to, "I'm so glad we met, let's hang sometime" requires more finesse and give than take. Brands that focus more on what they want customers to feel, versus what they want them to know, are more apt to develop lasting relationships and avoid misfires resulting in a swift delete. —Brendán Murphy is a senior partner and head of the brand voice group at Lippincott, a creative consultancy whose clients include Southwest Airlines. Emma DeFelice is a partner in Lippincott's strategy practice.